first new species to be described in the Caribbean in over 20 years. The findings were published in the June 6th issue of Zootaxia. Juvenile gnathia marleyi conceal themselves in coral rubble, sponges, and algae in the shallow waters of the eastern Caribbean where they launch attacks on fish. The adult crustaceans apparently do not feed at all. They seem to subsist on their last meal as a juvenile for a couple of weeks and then die. Sikkel anticipates that this happens after reproduction. Coral reefs in the Caribbean have been showing signs of decline due to diseases. Research is currently being done on the health of the coral reefs in relation to the gnathia marleyi population. Gnathiids live on the ocean floor all over the planet and are the most common external parasites found on coral reefs. They are the ecological equivalent of ticks and mosquitoes on land. 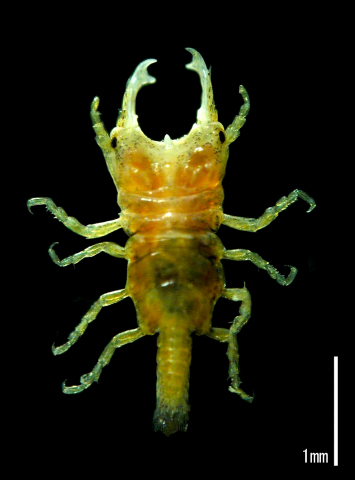 Sikkel said that he named the crustacean after Bob Marley because of his admiration of Marley's music, and because of the uniquely Caribbean status of both. Why We Should Be Concerned About The Sixth Mass Extinction?